Nursing Supplies & Patient Care > Oral Care > Single Use Oral Care Kits > Physicians Care Single Eye Wash Station 32 . Physicians Care Single Eye Wash Station 32 . Single bottle saline eye wash station perfect for flushing nuisance particles such as pollen, dust, saw dust, smoke, etc. pH balanced to match the human eye, this eye-wash station is especially important when chemical splashes disrupt the eye's normal pH. Designed to treat a single eye. 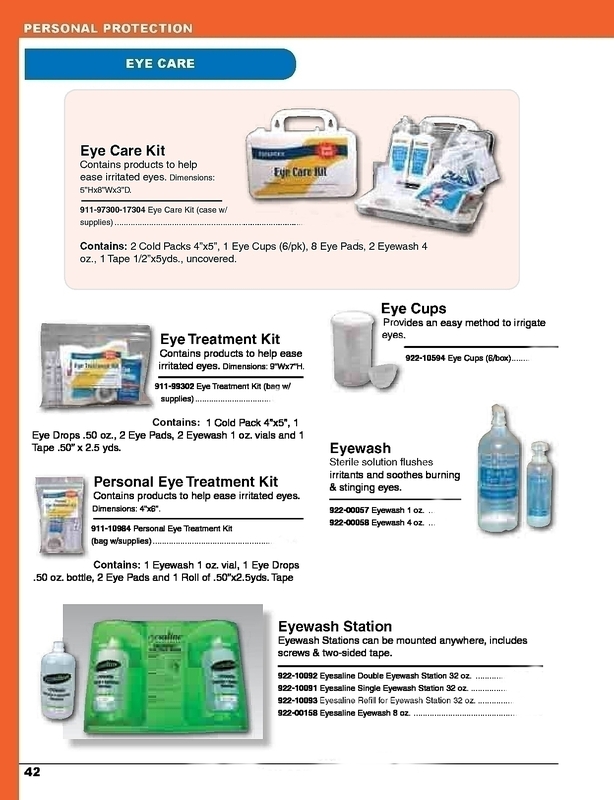 Includes station, screws, two-sided tape, and one 32oz bottles of saline eye wash.